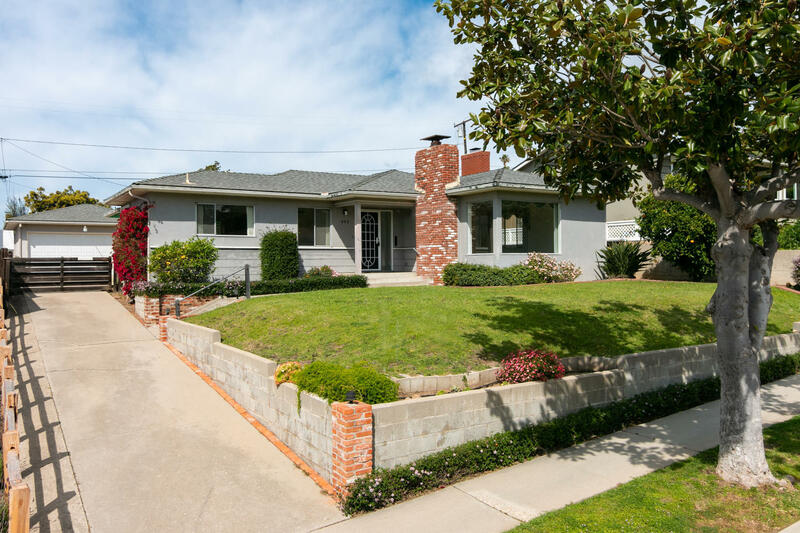 Wonderful 1-story home in a desirable north Ventura neighborhood has been loved by the same family for 60 yrs. This 4 bedroom, 2 bath, 1, 865 sf home, with family room & separate living room with fireplace, has great potential. Like a retro time-capsule with many features in remarkable condition, this largely original home does need updating & attention in areas. The bright, open kitchen, largely original with classic countertops & cabinetry, has a breakfast area and is adjacent to the family room. Family room has dining area & overlooks the backyard. All BRs, including the master with private bath, have beautiful wood flooring. Both likely original baths have remarkably maintained tile showers (one with tub), and the master also has a retro tiled counter & sink.